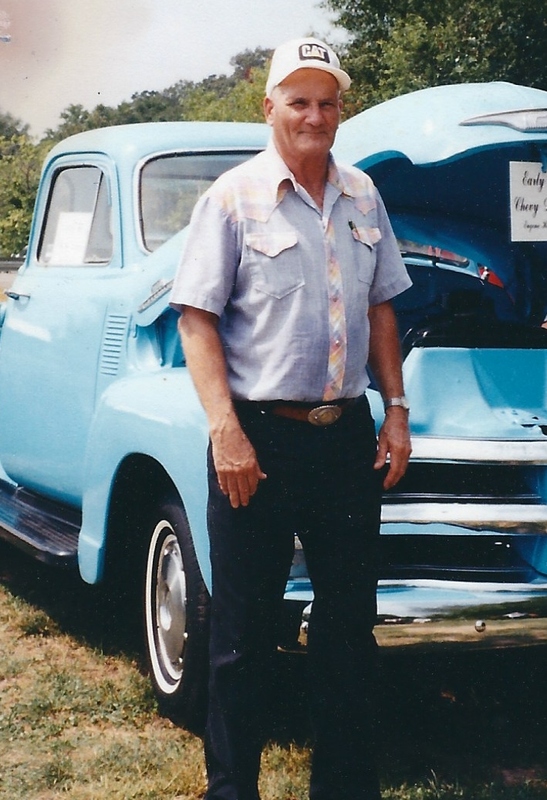 Eugene Howard Harmon, age 90 of Thayer, MO, was born March 9, 1929, in Mammoth Spring, AR, and passed away April 4, 2019, at his home. He is survived by: his wife of 68 years, Mary (Brown) Harmon, of the home; 1 daughter, Dowlene Harmon Brazeal & husband Dennis of Thayer, MO; 3 granddaughters, Dionne Komm & husband Fred of Thayer, MO, Natalie Brazeal Eagleman & husband Lenny of West Plains, MO, and Jessica James & husband Michael of Thayer, MO; 7 great-grandchildren; 8 great-great-grandchildren; and numerous other relatives & friends. Eugene attended school at Mammoth Spring and joined the Army when he was 17. After returning home, he married his bride and they made their home in Thayer, MO. He was a life long member of the local VFW. Funeral services will be 2pm Monday, April 8, 2019, at the Clary Funeral Home in Thayer, MO, with burial following in the Kosh Cemetery in Kosh, MO, with Erman Croney officiating. Visitation will be 12pm-2pm just prior to the service. I will miss you, neighbor! So sorry for your families loss. He was a good man. Thinking of you all at this sad time. Natalie, sorry to hear of the family loss. Mary, Dowlene and family, so sorry for your loss, I will always remember you being our neighbors for years! I have always enjoyed seeing Eugene going down the highway in his blue pickup! You will be in my thoughts and prayers at this sad time! Thanks Gene for being a friend to so many. Peace to the family.